Microsoft Business Intelligence (Data Tools)|Why does cloud make Data Lakes better? The main focus of a data lake is that it is not going to replace a company’s existing investment in its data warehouse/data marts. In fact, they complement each other very nicely. With a modern data architecture, organizations can continue to leverage their existing investments, begin collecting data they have been ignoring or discarding, and ultimately enable analysts to obtain insights faster. Employing cloud technologies translates costs to a subscription-based model which requires much less up-front investment for both cost and effort. Pervasive security - A cloud service provider incorporates all the aggregated knowledge and best practices of thousands of organizations, learning from each customer’s requirements. Performance and scalability - Cloud providers offer practically infinite resources for scale-out performance, and a wide selection of configurations for memory, processors, and storage. Reliability and availability - Cloud providers have developed many layers of redundancy throughout the entire technology stack, and perfected processes to avoid any interruption of service, even spanning geographic zones. Economics - Cloud providers enjoy massive economies of scale, and can offer resources and management of the same data for far less than most businesses could do on their own. Integration - Cloud providers have worked hard to offer and link together a wide range of services around analytics and applications, and made these often “one-click” compatible. Agility - Cloud users are unhampered by the burdens of procurement and management of resources that face a typical enterprise, and can adapt quickly to changing demands and enhancements. 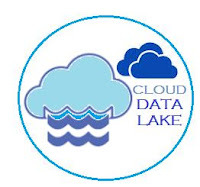 A basic premise of the data lake is adaptability to a wide range of analytics and analytics-oriented applications and users, and clearly AWS has an enormous range of services to match any. Many engines are available for many specific analytics and data platform functions. And all the additional enterprise needs are covered with services like security, access control, and compliance frameworks and utilities.